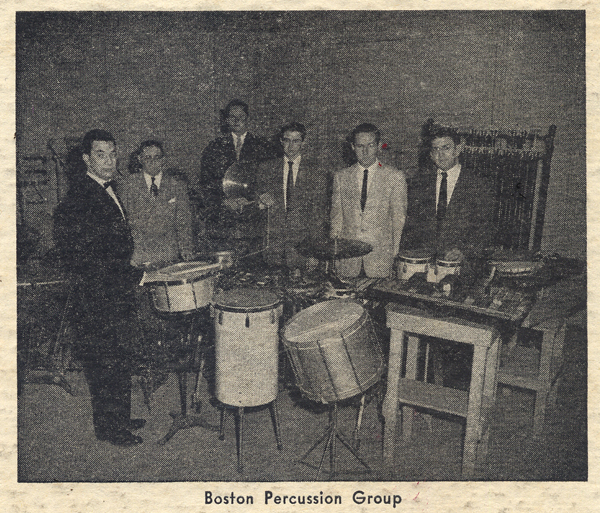 The Boston Percussion Group members: Georger Gaber, Harold Thompson, Simon Brown, Charles Smith, Everett Firth and Don Bush. Additional performers: James Stagliano, Horn and Dolores Baldyga, Soprano. 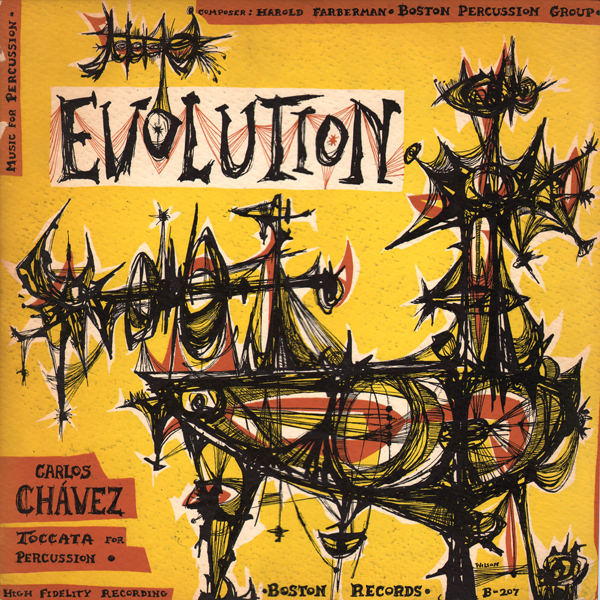 Harold Farberman scored Evolution in 1954. I can't find the release date for this obscure record. Judging from the cover, the record appears to be a late 50s release. The jacket notes are written by Farberman. This was Farberman's attempt to "elevate the percussion section to its rightful place as a musical section in the orchestra..."
Faberman spends a good deal of space letting his audience in on his "negative feelings" in regards to current percussion trends (of his time) as "coarse-grained and barbarous". I love the cover art and the music is experimental for the period. There isn't as much material on this LP as most 33s, as if this record was originally meant for a 10 inch issue, or perhaps was first released on a 10 inch record(? ).